We're back again for 2010 with our third issue! Check back here about April for the next issue. Send an email to kustomandhotrodmodelsmag at gmail dot com to be notified by email or sign up on this site for the RSS feed to be notified when the next issue is ready. We're looking forward to more readers and more participation in 2010. 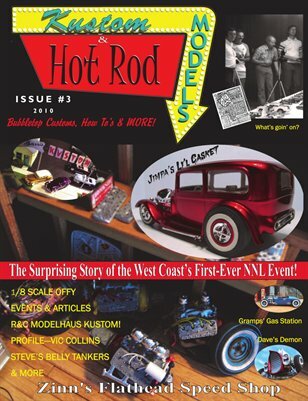 This is the only magazine devoted to kustom and hot rod models and other vintage cars. Try one issue and you'll be hooked!